Have you packed your sunglasses and swim trunks? Good, because we are taking a trip to our tropical island for another episode of Desert Island Sniffs. If you’re not familiar with this series, the concept is very simple – I invite important members of the perfume industry, such as brand owners, creative directors and perfumers, to be stranded on their very own desert island, along with 5 carefully curated perfumes of their choice. It may be a tricky job narrowing a life down to such a small number of perfumes, but I can assure you that it is an entirely worthwhile exercise! 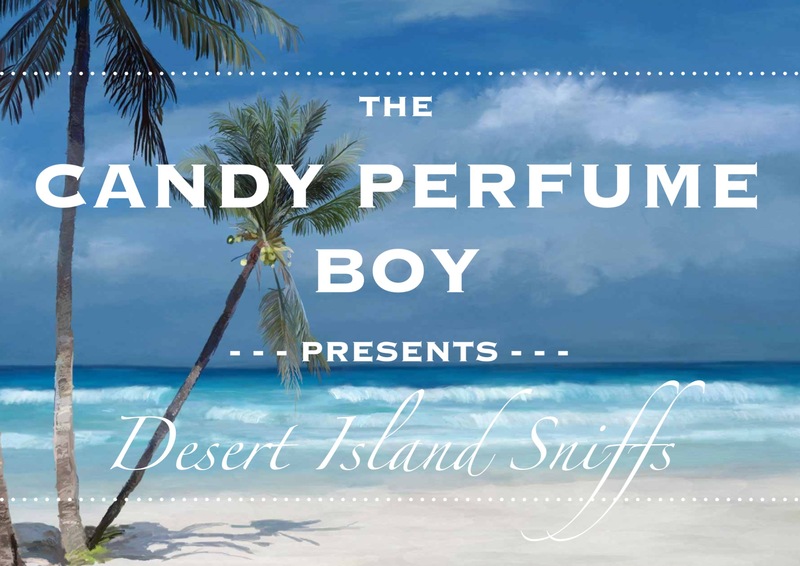 Desert Island Sniffs may only be a fledgling series on The Candy Perfume Boy but it is already becoming this blogger’s absolute favourite. Exploring a life through scent is a fascinating way to understand what makes an individual tick and those that are working within the perfume industry live perhaps the most fragrant and intriguing lives of them all. If you’re not familiar with the series (you can find other episodes here), the concept is simple; each month one prominent member of the perfume industry is asked to select 5 perfumes that they would take with them should they unfortunately be marooned on a desert island – their ‘Desert Island Sniffs’. One of my favourite past times is listening to Radio 4’s longstanding series ‘Desert Island Discs’. If you’re not familiar with the concept, the premise is simple: a famous face or person of interest is shipwrecked on a desert island with eight records of their choice. The idea being that the person tells the story of their life through the songs that have made a significant impact on who they are today. It has long been my belief that scent, much like music, allows us to travel back in time and experience moments past – moments that have influenced, changed and shaped us in to the human beings we have become. This series (nattily entitled ‘Desert Island Sniffs’) looks to explore the way perfume has influenced the lives of prominent members of the perfume industry. For Desert Island Sniffs my castaways will be asked to present five perfumes that have had a significant impact on their life – scents that are so important they would be the ones they’d pack if they were unfortunately marooned on a remote desert island. Along with their five perfume choices my castaways are entitled to one luxury item and a ‘perfume bible’ of their choice.